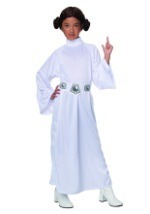 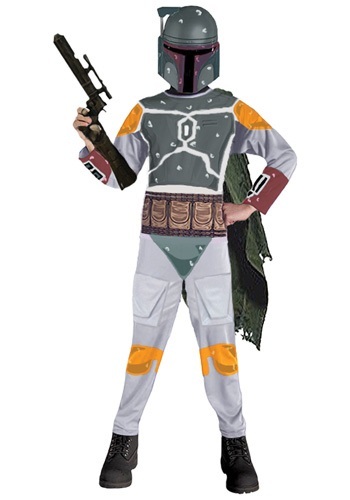 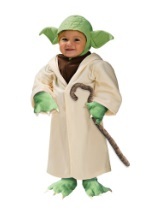 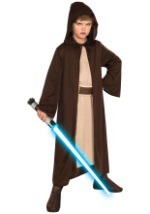 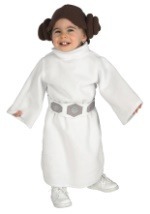 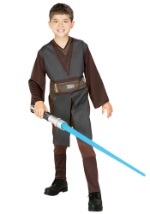 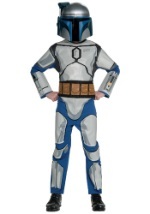 Have no problem capturing Han Solo and Chewbacca this Halloween season in this Childs Boba Fett Costume! 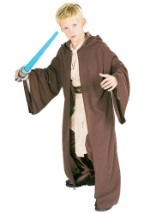 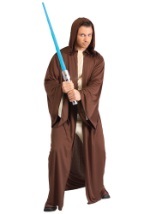 This costume includes a brown cape that is secured to the left shoulder of the jumpsuit. 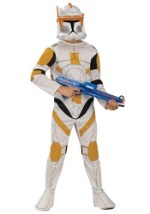 The jumpsuit is white with printed yellow and green body armor. 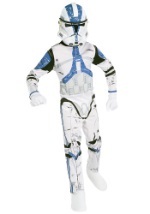 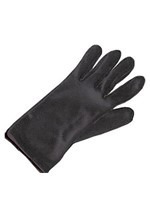 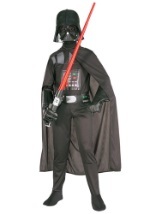 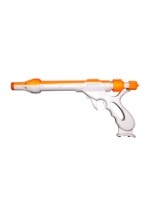 The jumpsuit has very detailed designs that give the costume a more realistic look. 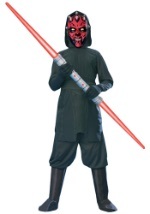 The dark red and green PVC half mask allows easy vision and breathing. 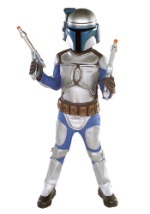 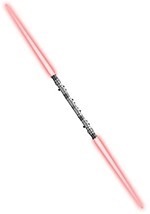 It appears to be dented and scratched for an authentic and realistic bounty hunter look. 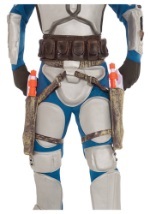 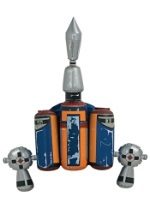 Slip on our Boba Fett jet pack for an excellent addition to this costume!